Love Target? It's giveaway time! 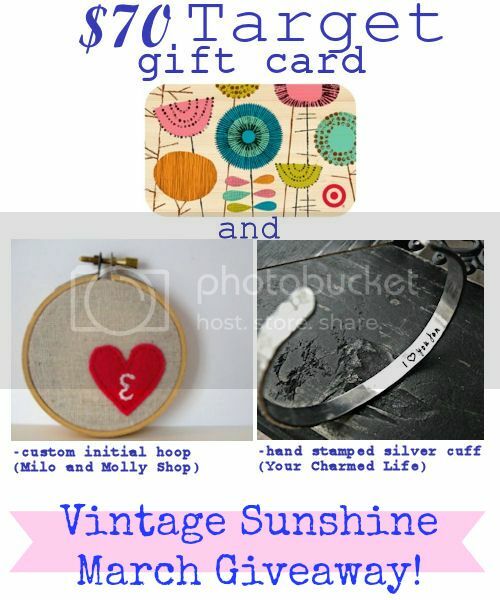 I have teamed up with some awesome ladies to offer one lucky person a chance to win a $70.00 Target giftcard, a custom initial hoop, and a hand stamped silver cuff! Click here to enter!